Earlier this month I had a whirlwind trip to the East Coast, in which I visited nine radio stations in addition to NPR headquarters. My most hectic day of station tours happened on Tuesday, April 8th. 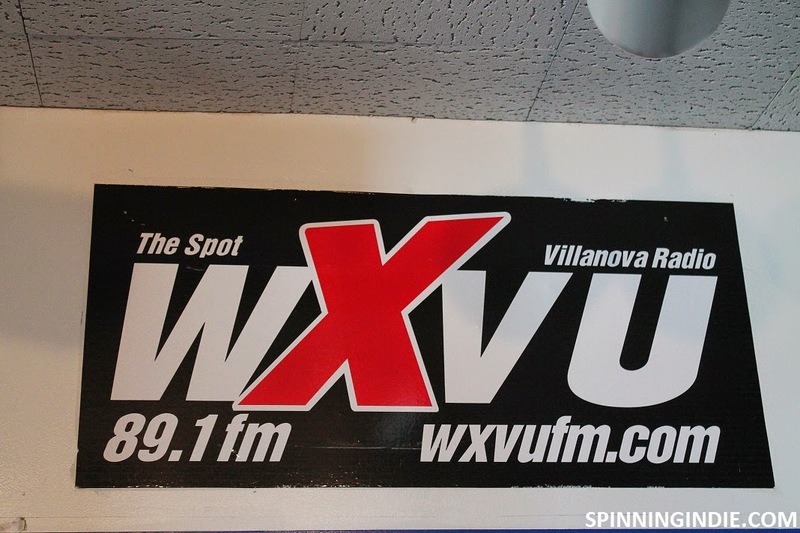 I started the morning with a visit to WXVU at Villanova University on the mainline of Philadelphia. For many years I've been intrigued by the mysterious big band station KCEA 89.1 FM. Located at Menlo-Atherton High School in Atherton, California, the station airs a non-stop stream of nostalgic big band music from days gone by. Friends who grew up in the area have told me that the station charmed them decades ago with its nighttime broadcasts of ocean sounds ("sounds of the sea, thus the call letters KCEA"). A fellow DJ at KFJC recounted that when he was in high school he would study to the soothing wave sounds. Craig Roberts, who toured me around KCEA, told me that rumor has it that a local insane asylum would pipe the nighttime ocean sounds through its buildings for the patients.